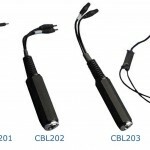 If using Touchproof electrodes for stimulation, add CBL207 to interface to Touchproof leads. For MRI applications, the STM200 is suitable for animal use only. Do not use on human subjects inside the MRI chamber. For a human-safe MRI stimulation solution, see the STM100C and STMISOC. 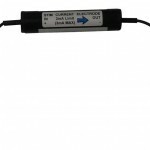 The Current Feedback Monitor Cable (CBLCFMA) is recommended for use with any voltage stimulator; to isolate CBLCFMA output, use INISO and HLT100C. Always make sure to place the electrodes on the participant at least 10 minutes before starting any electrical stimulation. Use a CBLCFMA to monitor and record the actual current delivered to the participant at ALL times. A large enough change in current delivered to the participant will alter the subjective perception of the stimulation. Thus, an unpleasant shock may become painful if more current starts being delivered or become ineffectual if less current is being delivered than during threshold identification. 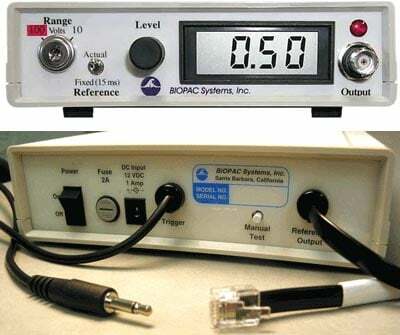 Changes in the levels of delivered current are due to changes in impedance. Changes in impedance could be due to a number of factors: gel saturating the skin over time; gel drying up – over longer period of times; hydration level of participant; sweating; decoupling of electrodes and skin due to motion artifacts; etc. Establishes the stimulus pulse output level range in Volts (.025-10 Volts or .12-100 Volts). Turn right to select a range up to 10 Volts. Turn left to select a range up to 100 Volts. Remove the key for added safety and control. If the Range is changed before recording begins, the scaling must also be changed (MP menu > Set Up Channels) to maintain direct Level recordings. If the Range is changed during recording, the user should manually enter a software marker to note the change (F9 on Windows or Esc on Mac). The pulse Level could then be determined by (mentally) moving the decimal place to the right or left, depending on how the Range was changed. Refers to the pulse width of the signal on the Reference Output (on the back panel). Actual reflects the actual output width. Fixed (15 ms) establishes a pulse width of 15 ms, regardless of the actual pulse width. The Reference control only affects the pulse width; in either case, the pulse level reflects the actual output level. 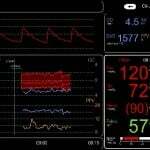 Level is used in conjunction with Range to set the stimulus pulse output level. Turn the Level control (right to increase, left to decrease) to establish the desired Level, as indicated on the digital display. Standard BNC connector to output the stimulus pulse to external electrodes or other devices. The red LCD is activated when the DC adapter is plugged in and the power switch on the back panel is turned ON, and flashes when the stimulus pulse is active. Rocker switch for turning the STM200 power ON and OFF. If the fuse blows and must be replaced, use a screwdriver to open (counterclockwise) and close (clockwise) the fuse cap. Socket for DC adapter (AC300A or equivalent). 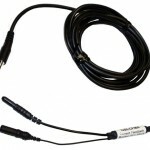 This cable terminates in a 3.5 mm mono plug for connection to the UIM100C Analog Output 0 or the STM100C 50Ω output. Used to diagnose problems with the STM200 stimulator unit. Disconnect the “Trigger” cable from the MP System and press the Manual Test button to initiate a stimulus with a fixed pulse width of 1 millisecond.